Here's what to expect when the House returns. Prime Minister Justin Trudeau speaks at the opening ceremonies of Hack The North, Canada's largest hackathon, in Waterloo, Ont., on Sept. 15, 2017. HAMILTON, Ont. — Opposition parties are warning Prime Minister Justin Trudeau's government to brace for a fight this fall if bills are pushed through the Commons without their consent. HuffPost Canada has learned that the Liberals plan to use a procedural tool known as "time allocation" when the House returns Monday. The Grits have had trouble getting their legislation through the Parliament quickly and as the government approaches its two-year mark, it wants to regain control of the House agenda. "Now, that they are halfway through their term, all of a sudden they need to rush everything through so they can put a few more checkboxes next to their promises and the deliveries," NDP House leader Murray Rankin said. "If they do that routinely — just like the Conservatives did when they had over 100 time allocation motions in the last Parliament ... we will push back against that, and the tone that they want to establish will be frosty at best." Senior officials point to a letter sent by Government House leader Bardish Chagger to opposition House leaders in April, warning them that she would use the tool to clamp down on debate time. Empty halls are seen behind Leader of the Government in the House of Commons Bardish Chagger as she speaks with media in the Foyer of the House of Commons on June 22, 2017. "Canadians elected us to deliver an ambitious agenda, so it is with regret, but full transparency, that I want to inform you that, under the circumstances, the government will need to use time allocation more often in order to implement the real change we promised," Chagger wrote. Since then, Rankin told HuffPost there has been no discussion with Chagger. "We think time allocation is really something that desperate governments do, and we think it's really something opposition parties should be very careful about supporting," he said. New Democrats supported time allocation on one bill last spring that aimed to fast-track the approval of safe injection sites as a way of addressing the opioid crisis, Rankin noted. "People were dying in record numbers," he said. "But generally speaking, it is anti- democratic, and the government knows it is anti-democratic." The Liberals say they pleaded with the opposition last spring to adopt a system known as programming that offered predictability in debate time, but the opposition resisted and the reforms were abandoned. Trudeau's spokesman Cameron Ahmad said the changes the Liberals proposed were not an attempt to be partisan or to blind-side the opposition, but a genuine desire to organize the House schedule. "There is always a willingness on behalf of the government and the House leader to have good-faith discussion," he told HuffPost. "There will be partisan debates, of course. There will be heated arguments, but they don't have to be on everything. Not every single debate has to be about politics. And hopefully, that will be possible." Because the government has "an ambitious agenda," he added, time allocation will be required in certain circumstances. Another factor making "time allocation" attractive is that the government is realizing its newly independent Senate can be an unpredictable can of worms when it comes to passage of bills. Last spring, the upper chamber returned six pieces of legislation to the Commons with amendments. "[The Senate] eats up more time," the senior government source explained. Murray, however, vowed that he and Conservative House leader Candice Bergen will fight back. "Candice and I worked very effectively against this unprecedented power grab on the House changes they tried to do unilaterally and we are going to push back against an abuse of the rules of the House as we go forward in the next session," he said. This fall, Liberals plan to table legislation related to the tax changes they floated this summer — albeit with some likely tweaks. "The finance minister is listening to the different things we are hearing, and he is open to improvements," Ahmad said. The proposed measures would close loopholes that currently allow people with private corporations to lower their tax burden by sprinkling their income among family members, using their business to make passive investments, and extracting earnings from the business as capital gains. Liberals, Conservatives and New Democrats MPs have been bombarded by Canadians concerned that their incomes and businesses are about to take a serious hit. This week, Wayne Long, the Liberal for Saint John, N.B., said he is prepared to vote against the Liberals' tax changes — a striking indication of disagreement with the government — unless amendments are made. If enough Liberal MPs voted that way, the government could fall. Ahmad signalled that the prime minister is prepared to make changes. The government wants to avoid hurting people who aren't the target of its tax changes, he said. "[But] the objective will be consistent: People who make a lot of money, who have access to tax advantages that other people don't have, that is unfair." Other legislative priorities include the passage of two bills, C-45 and C-46, related to the legalization of marijuana — that Trudeau promised would be law by July 2018. Yet despite their stated priorities, the Liberals are beginning discussions on C-21, a customs bill related to the Canada-U.S. border that has sat on the order paper for more than a year. Some MPs suggest that movement is related to the current NAFTA negotiations. Topping the Conservatives' agenda is the deluge of criticism over the Liberals' proposed tax changes. "Every MP is hearing loud and clear across the country that this is what people are literally freaking out about," Bergen, the Tory House leader, told HuffPost. "It is a serious blow to local businesses, and the fact that Trudeau is doubling down, and [being] incredibly tone-deaf and stubborn on this, is only making it worse. It's all we are hearing about, and it is what we are going to be talking about when we get back on Monday." "People are really, really scared," she added. The Tories plan to use the tax issue to portray Trudeau as out of touch with the average Canadian. 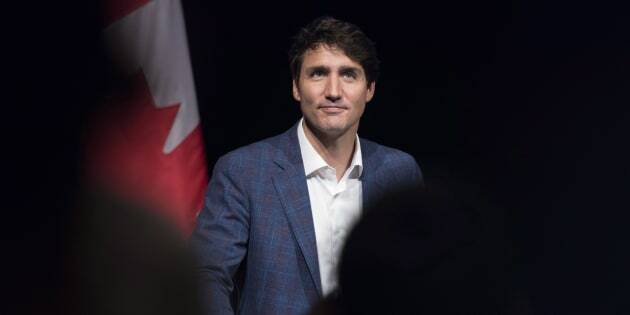 "[Perhaps] he believes he can do it is because he is a celebrity prime minister and so he has that popularity internationally and probably even in Canada. But ... to show this level of arrogance and distance from the people you are representing, just, this elitist attitude, is very disturbing," she said. The Conservatives will point to other headline-grabbing news — the cost of Trudeau's Bahamian vacation, his $10.5 million secret payout to Omar Khadr, and the summer flood of asylum seekers illegally crossing the Canada-U.S. border — to help underscore their point. "He personally may have not ever been a business owner, but that doesn't mean he can't show some empathy and understand what they are dealing with," Bergen said. "In two years, he has become so incredibly self-important and thinking that he can do absolutely anything he wants and nothing will touch him, but he is forgetting about the lives, the young couples, the moms and dads, the middle-aged people who are just really severely affected by his actions." Trudeau has registered three private corporations (one related to speaking engagements is now defunct), but his office said that the prime minister doesn't consider them "small businesses" and that he has never used any of the tax advantages he is now looking to end. For its part, the NDP plans to portray the prime minister and his government as people who cannot be trusted to deliver on their promises. The Liberals broke their pledges on door-to-door mail delivery, on small deficits — which have ballooned to $30 billion — and on action to fight climate change when, instead, greenhouse gas emissions keep rising year after year, outgoing NDP Leader Thomas Mulcair said. NDP Leader Tom Mulcair speaks with a Tiger-Cats and NDP fan after a media availability to kickoff the party's fall caucus retreat before catching a CFL game in Hamilton, Ont. on Sept. 15, 2017. "Canadians are just tired of being sold a bill of goods by Liberals, who continue to campaign on the left and then once they are in they govern on the right, which is exactly the model that Justin Trudeau is following right now," he told reporters gathered in Hamilton, Ont., where the NDP is holding its summer caucus meeting. On Sunday, the party hosts a showcase in the city, where its four leadership candidates — MPs Charlie Angus, Niki Ashton, Guy Caron and Ontario MPP Jagmeet Singh — will make their final pitches to New Democrats before voting begins. A new leader will be elected in October. HuffPost Canada is hosting a leadership debate on Sept. 27, which will be streamed live on Facebook.